Since there aren’t a whole bunch of tech companies in Oklahoma, there aren’t a whole lot of guys quite like Rick Baker around here either. He’s been working for our Technology department since June of last year, and they’ve grown into a fun, funny, and tight-knit bunch. Rick’s outstanding work’s set him apart as one of QuiBids’ finest employees, so we’ll be getting to know him better today here at the company blog. 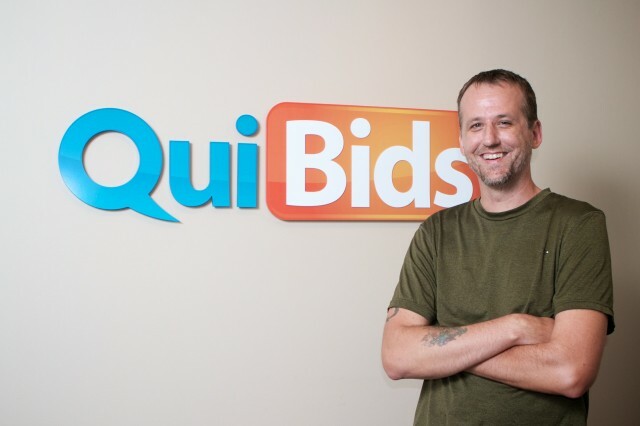 Find out a little about Rick playing in a band with Kurt Cobain once upon a time, what his “desert island” hypothetical is, and exactly what he loves about working for QuiBids! 1. What do you do for QuiBids and when did you start working here? I am a senior application developer and lead a small team of developers. Half of my time seems to be spent introducing bad code onto the site that makes people on the 16th floor cry. The other half is actually being productive and fixing said bad code. I started working here in June of 2011. 2. You’re the first 15th floor QuiBids employee to get blogged about. How does it feel? Awesome? Wow, you’d think my coworkers on the 15th floor would throw me a party, or have a statue created in honor of my awesomeness. Maybe they are just jealous, but I am a humble guy so I’ll try not to gloat too much about being the first. 3. 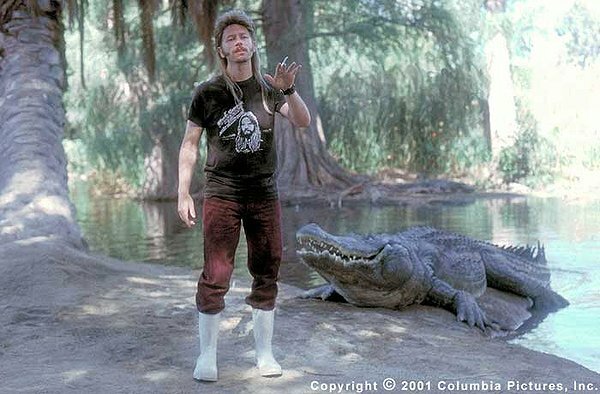 Somebody told me you played in a band with Kurt Cobain in Seattle back in the day. What’s the story about that? Long ago and far far away in a little town called Aberdeen, Washington. Yes, it was short lived, about 6 months well before Nirvana turned into the juggernaut that it was. In my wisdom I thought the whole punk/grungy sound wasn’t going anywhere. So I split and pursued my dreams of being in a hair metal band. Yeah, hindsight’s 20/20… all that good stuff. 4. Desert island hypothetical: You can only bring one book, one movie, and one album with you. Which ones do you bring? One book? Hmm, everything I read tends to be a series of books. Probably one of the Dresden Files books, but it wouldn’t really matter, it would be toilet paper before long anyways. One movie. That would be a toss-up between either Shawshank Redemption or Joe Dirt. I refuse your hypothetical and I’d take both. One Album: Seether — One Cold Night. I’d have to say golfing. Although here, it’s hit and miss when I can go. It was the same back in Washington, but that was due to all the rain. Here it’s due to the heat. Some of the guys I golf with don’t mind golfing in 100+ degree weather, but I don’t find that particularly enjoyable. 6. Most common online distraction at work? io9.com. A little mix of science, entertainment and futuristic mumbo jumbo. 7. Fill in the blank: My biggest in-the-office pet peeve is __________________. When we have to miss our beer dart competition due to work. Every week, we have a friendly little dart competition, winner chooses the beer, loser buys the beer. Usually there are 6 or 7 of us. Last week, work got in the way and we had to skip it. I was quite peeved. 8. What’s the last foreign country you’ve visited? Canada, that’s the last and only foreign country I’ve visited and that was years ago. Primarily because I used to be deathly afraid of flying. But after flying out to Oklahoma last year from Washington, during the middle of a pretty bad storm, it seems to have cured my fear. 9. What’s the last thing you searched for on Google? It was something about trees. We pulled out all of the nasty fruit trees from our backyard last weekend and had to try to figure out what type of trees would survive in the full sun around here without bursting into flames, being sucked up by a tornado, or die a horrible death from our Bull Mastiff deciding to chew it up. Hard to name just one thing. I like the people I work with and that’s a huge plus in and of itself. Best thing is probably the diversity of projects I get to work on. Sometimes it’s juggling several projects at the same time, but it’s enjoyable and a challenge which I really like.